UMKC is Kansas City’s University. 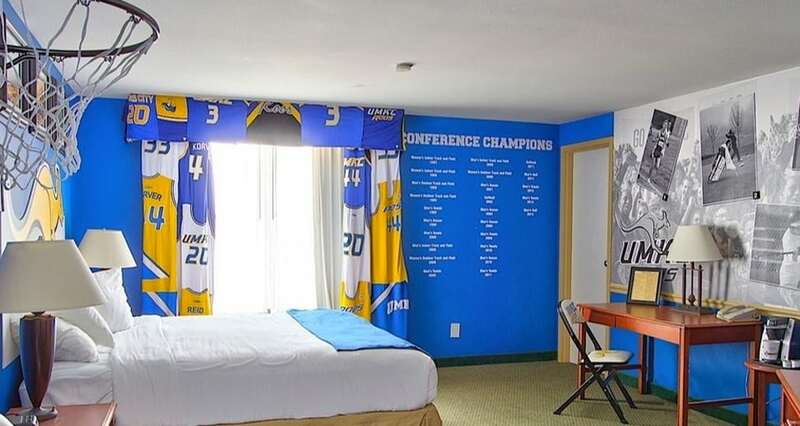 This room highlights UMKC’s rich athletic history with its “Roos Headboard” and mini hoops goal. Did you know Walt Disney was responsible for UMKC’s Kangaroo mascot? This room will tell you the story.